1 What Is Eyebrow Twitching? Eyebrow Twitching Is the eyebrows is caused by the spasm of the tiny muscles of the eyelids. The muscle spasm may occur in different parts of the body with the extremities more frequently affected. Most of the causes of eyebrow twitching are harmless but if the twitching has persisted for several months, a physician should be consulted for a diagnosis [1, 2, 3]. The muscle that is primarily responsible for the movement of the eyebrows is the corrugator supercilii muscle. It is located underneath the Frontalis muscle and above the orbicularis muscle. It pulls the eyebrow downward and medially which makes vertical lines to appear on the forehead. In order to protect the eyes from the glare of the sun, it is able to pull in the eyebrows toward the nose bridge to create a roof over the medial corner of the eye . The highlighted muscle in figure 1 shows the corrugator supercilii muscle in the eye. There are a number of causes of the twitching of the eyebrows. Some are harmless but others are due to an underlying medical condition [1, 2, 3]. Drinking too much alcohol affects the level of B vitamins in the body whose main function is to maintain optimal nerve conduction. Disturbance in the level of these vitamins may lead to neuropathy and to spasms of muscles [3, 5]. Performing rigorous exercises causes a loss of fluid in the body. The fluid imbalance increases the level of electrolytes in the system and increases the excitability of muscles in the body. Increased muscle excitability may lead to spasms [3, 5]. If the levels of electrolytes such as potassium, sodium, and magnesium are low; the normal muscle conduction is disrupted. The disturbance may lead to spasms and can persist for a long time if not managed immediately [2, 3]. There are medications that may cause eyebrow twitching or other forms of muscle spasms while they are being taken. Some examples of these medications are Cyclobenzaprine and Risperdal. Those who take these drugs should be aware of the possible side effects of drugs to know those that they should watch out for . Caffeine is the most widely used stimulant in the world. The recommended amount of caffeine that a healthy adult can consume in one day is about 400 mg or less than 2black coffee. Those who consume more than the recommended amount may experience symptoms such as twitching of the eyebrow muscle [7, 8]. Applying a cold compress or having a warm bath. This will help to relax the muscle and stop the twitching. Avoid consuming caffeine that is more that the recommended daily intake. 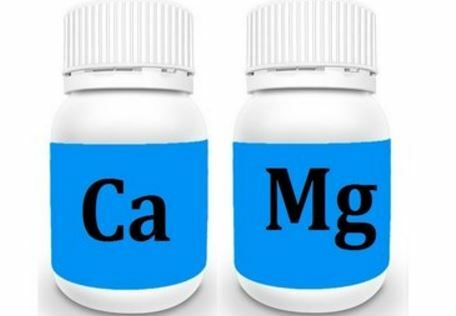 Those who are known to have consumed a large amount of caffeine are advised to drink water or eat food that are high in potassium and magnesium. Ensure adequate hydration especially after performing a rigorous exercise to maintain a normal fluid and electrolyte imbalance in the body. Knowing the side effects of the medication you are going to take may give awareness to what to watch out for after taking the medication. Although some eyebrow twitches may be normal, a persistence of this symptom should warrant a consultation with the physician. Eat a well-balanced diet or take a supplement that contains the essential B-vitamins to ensure the optimum health of the nerves. The injection of botulinum toxin or Botox into the muscle will cause a temporary paralysis of the muscles of the eyebrow and stop the twitching. The effect will wear off after a few months and the procedure may be repeated if desired. Talk to the physician if the eyebrow twitching is bothersome and if an injection of Botox is a viable option.